The Detroit Public Library, which made it first home in the old Capitol building in Detroit in 1865, is celebrating its 150th anniversary in 2015. To contribute to the festivities and commemorations — and as a tribute to the person I most associate with the library, although his collection is only one small part of it — I’m republishing this excerpt from my book, Hidden History of Detroit. Once asked by the newspaper what he did for recreation, Clarence Burton replied, “work hard at old books.” Blow him a kiss next time you visit the library. Clarence Monroe Burton was born in Whiskey Diggings, a California gold rush town, in November 1853. His parents – Charles Seymour Burton, a doctor, and Annie Monroe Burton, a poet – had come to California in a wagon train from Battle Creek, Michigan, earlier that year. Whatever fortune they sought there, they must not have found it, because they packed up and set out for home on the steamer Yankee Blade the following fall. 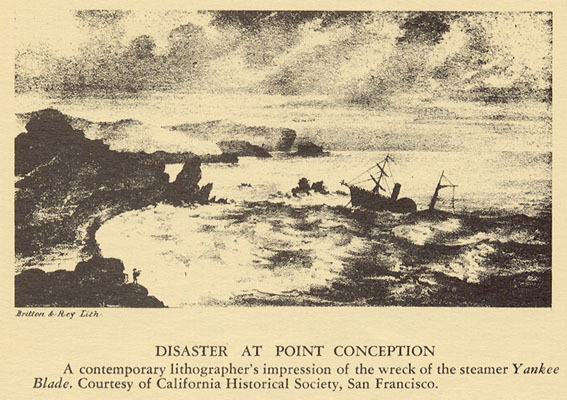 On October 1, lost in fog off the coast of Point Arguello, the Yankee Blade struck a rock. The boat broke in two. Annie Burton, with baby Clarence on her hip and pieces of gold sewn into her skirts, tried to jump from the ship into a waiting lifeboat. She missed her mark and the two of them plunged into the rocky Pacific waters, but someone in the lifeboat grabbed Annie and pulled her and her son aboard. Dozens of passengers drowned when the Yankee Blade sank. All of the Burtons survived. By 1855, they were back in New York. Auspicious beginnings for a man who would grow up to be – by most standards of polite society – kind of a bore. The Burton family returned to Michigan, to the farm town of Hastings (where Charles Burton started the newspaper Hastings Banner – still published today). Clarence Burton grew up, went to the University of Michigan, got in trouble with the dean for letting some circus animals loose on campus, and graduated – though he refused to pay extra for the actual diploma – with a law degree. Burton moved to Detroit in 1874 to clerk for a law firm. His wife Harriet and their firstborn Agnes stayed behind while he worked side jobs and slept in the office – he was only making about $100 a year. Still, he found spare change to snap up a book or two. I’m not sure when Burton’s part-time history habit became all-consuming. Maybe it happened slowly, book by book, document by document, mystery by slow-burning mystery. In 1885, Clarence, Harriet and their five children moved from a small house in Corktown to a slightly more commodious house on Brainard Street off Cass Avenue, about a mile from the center of the city. The Burtons needed room for their growing brood, of course, and when Clarence Burton added a third story to the house, it was partly to gain a few more bedrooms for the children. But it also gave Clarence Burton a large study to call his own – and space to store his growing collection of books. His son Frank’s earliest memories were of the study, and of his father’s exacting and methodical way of cultivating his library. ”Up at a good hour in the morning, he ate a hearty breakfast and left at once for the office. … Back for dinner at six after a good day’s work, he ate leisurely, talking with mother and the children about the happenings of the day and joining in with our jokes and guessing riddles. Dinner over, he spent a half hour idly over his coffee and then his rest period was done. He retired at once to his study and stayed until long after we children were in bed. Twelve to thirteen hours of hard, confining work each day, but it seemed to agree with him. Everywhere, Clarence Burton’s life grew. His business grew – in 1891, he bought out the other partners at his law firm and organized the Burton Abstract and Title Company. He and Harriet had three more children. In 1892, he added a wing to the house and hired a secretary to accommodate his books. Clarence Burton’s house on Brainard Street. Via the Burton Historical Collection. ”It would seem now that he had room enough for any man’s books,” Frank Burton wrote, ”but day by day boxes of books and manuscripts arrived, some from local sources, others from the East or from London.” A few years later, Burton built an addition to the addition to keep pace with his stuff. Burton scoured rare book auction catalogs, corresponded with collections all over the world, and trawled for the missing pieces of history that would fill in the gaps in his library. He found the papers of John Askin – a British merchant who came to Detroit in the 1760s – in an abandoned chicken coop, and rode home sitting on top of them in the back of a horse cart. When he learned about a document with Cadillac’s signature on it, he signed a blank check and sent it to Montreal. He tracked down and interviewed elderly Detroiters, old-time residents and relatives of famous citizens, sometimes asking if they had any musty old trunks of family papers in their cellars, attics or sheds. He travelled when he could. In 1898, he made a cross-country trek ”in the foosteps of Cadillac” – his singular biographical obsession – from Quebec City and Montreal to Bar Harbor and Nova Scotia. In 1904, he recreated a portion of Cadillac’s voyage on the French River in authentic birch bark canoes. (Reportedly, Clarence Burton was not well-suited to eating out of tins and sleeping on the ground.) And in 1907, he finally visited France as part of a grand tour of Europe, West Asia and North Africa. At St. Nicholas de la Grave – Cadillac’s reputed birth place – the local archaeological society regaled Burton with tales from their long, sleepy past. When he couldn’t travel, he sent away for documents (including the St. Nicholas de la Grave parish records) and had them transcribed and translated. In 1913, Clarence Burton built a new house in Boston-Edison, leaving the Brainard Street house – and the colossal library inside of it – to the Detroit Public Library. Over the course of 40 years, Burton had amassed 30,000 books, 40,000 pamphlets and 50,000 unpublished papers relating to Detroit, the Michigan Territory, the old Northwest, Canada and New France. He continued to visit his library every day, and researched books, papers and presentations for the Michigan Pioneer and Historical Society, the Detroit Historical Society, and the Michigan Historical Commission, all of which he chaired at some point. 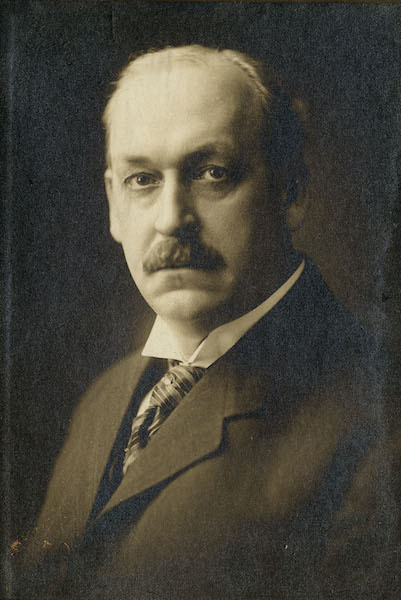 In 1922, he published his definitive multi-volume text: The City of Detroit, 1701-1922. But his masterwork remains the Burton Collection, which moved to the main branch of the Detroit Public Library on Woodward Avenue in 1921. 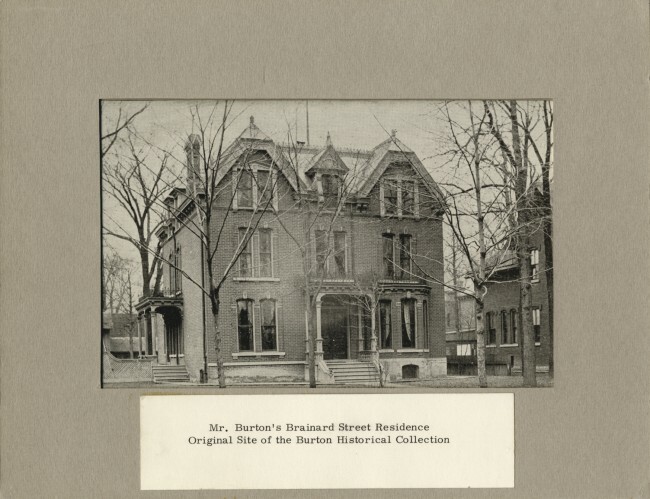 The Library sold Burton’s house on Brainard back to him; he used the money to start an endowment fund for his collection. Clarence Monroe y’all. Via his own Historical Collection. The Burton Historical Collection is still at the main branch today, in a stately, sweetly quiet, and ’60s-stylish room built as part of the Library’s 1963 expansion. You still have to search by card catalog. From the belly of the storage floors, archivists muster up 200-year-old newspapers, boxes full of letters in impeccable script, creaky scrapbooks and folders full of photographs. Above it all, a portrait of Clarence Burton presides: mustachioed, clear-eyed, his aspect dead-serious. And while I’m not sure if he would appreciate how much giggling I do there, I still say a silent thank you every time I visit. An interactive behind-the-scenes tour of the Burton’s stacks, via the Detroit Free Press. A few years ago I shared Clarence Burton’s idea of a fun summer vacation. Michigan Radio and HistoricDetroit.org’s Dan Austin have more on the Library’s history.